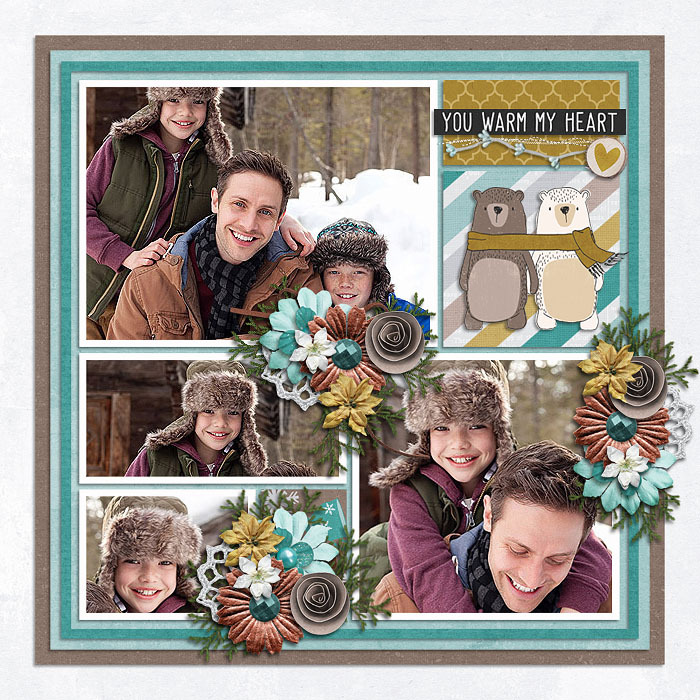 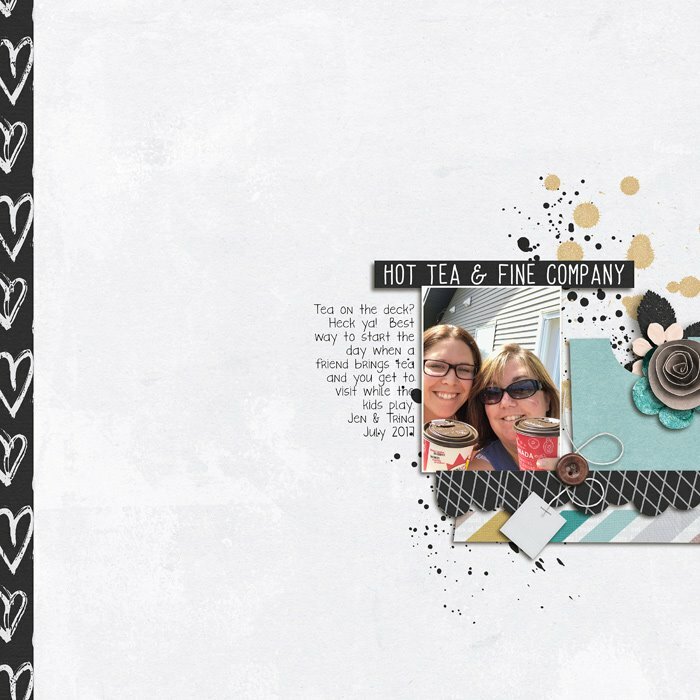 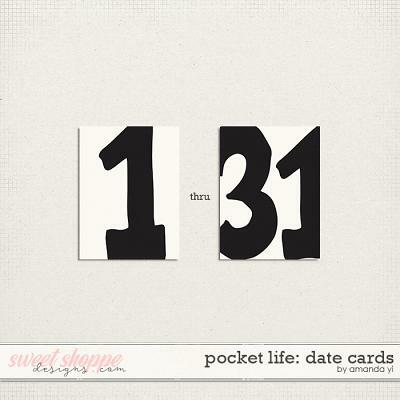 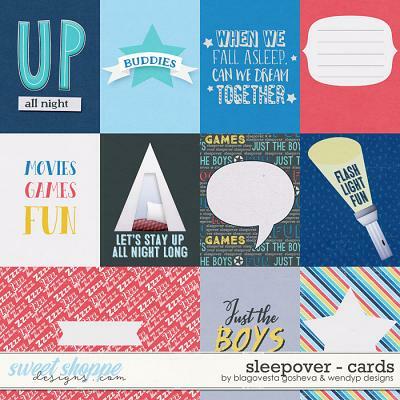 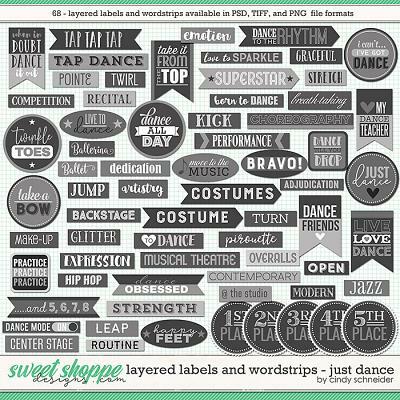 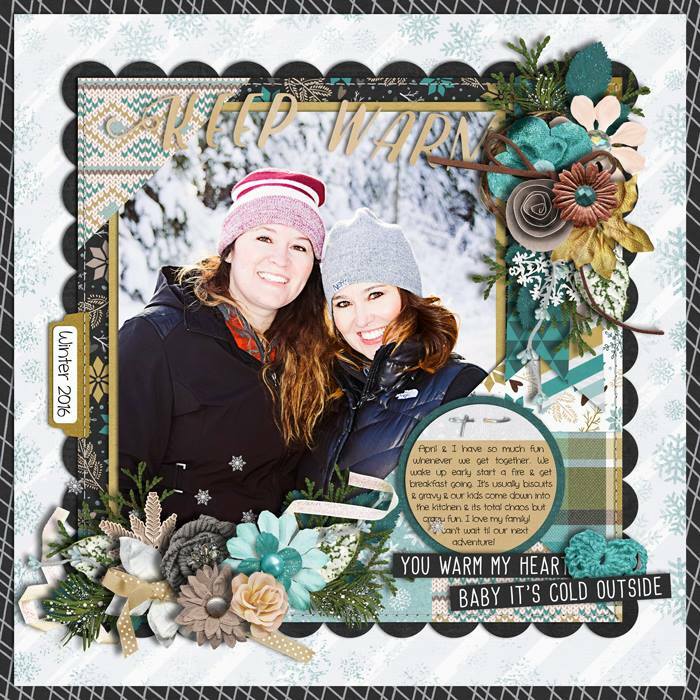 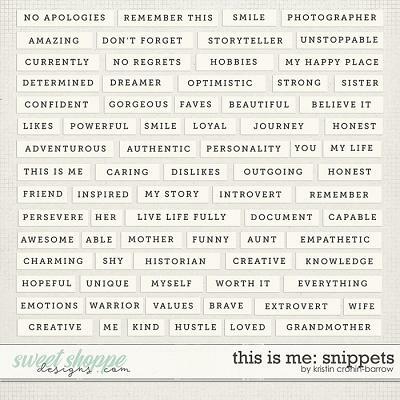 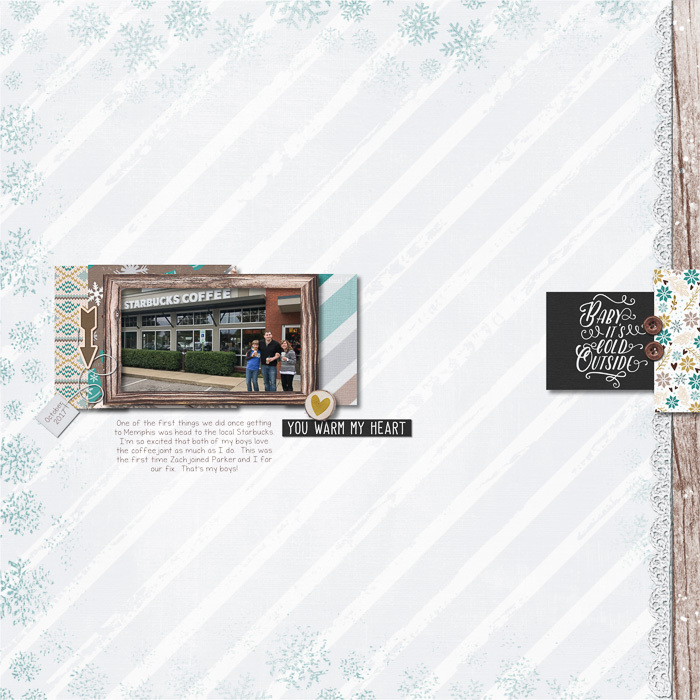 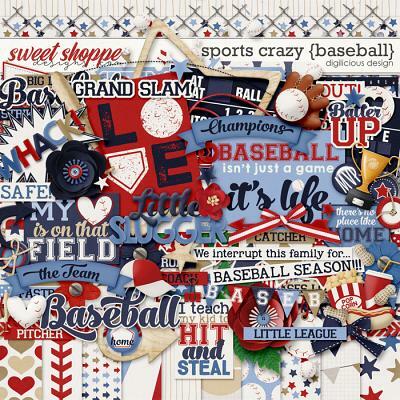 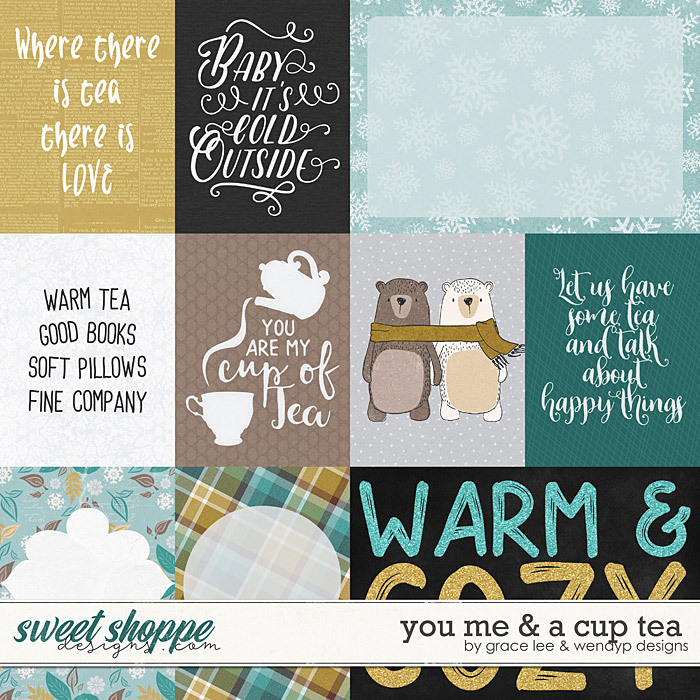 A digital scrapbooking collection by Grace Lee and WendyP Designs, You Me & a Cup of Tea: Bundle is inspired by the crisp cold air most of us are experiencing this time of year. 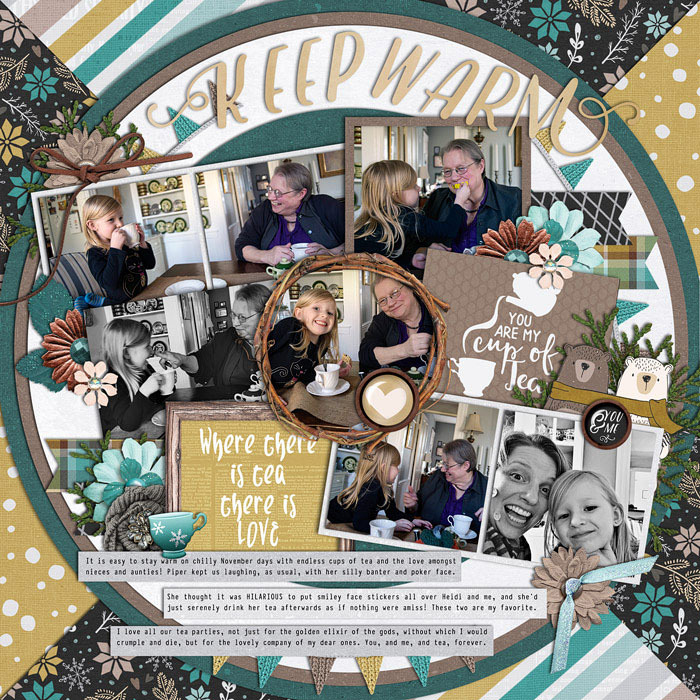 There is nothing better than a warm cup of tea and a cozy blanket to enjoy the fall season melting into winter. 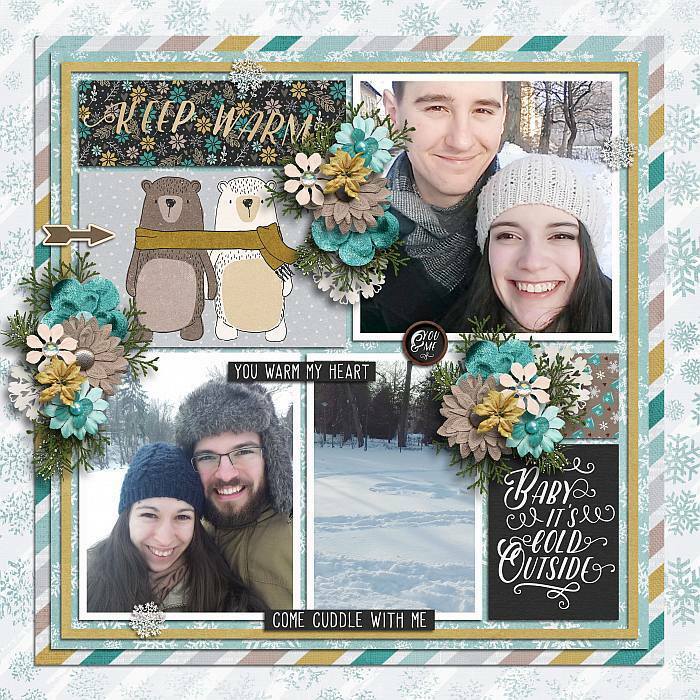 Adorable bear mascots, cups, mugs and toasty elements in soft blues and golden browns will help you create gorgeous layouts of cuddly sweater-weather days. 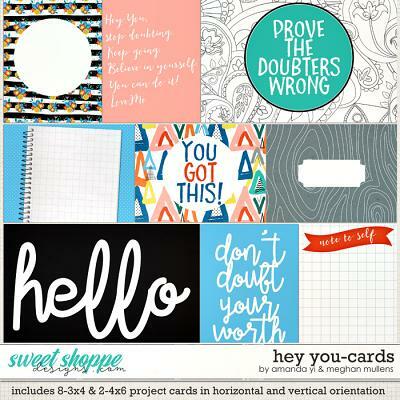 and 10 journal cards in both orientations.